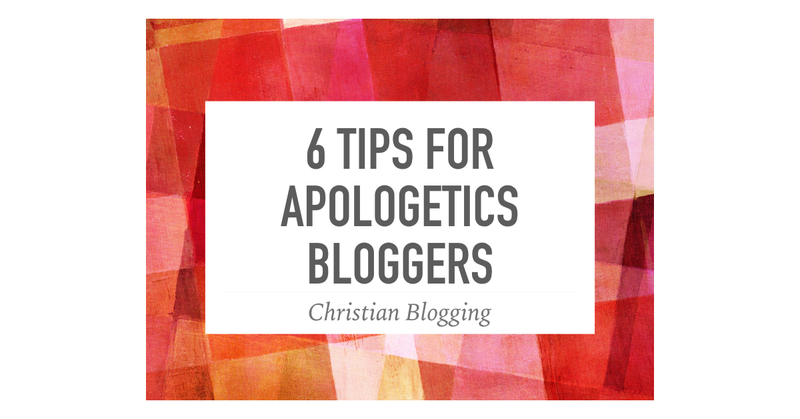 Many of these tips are relevant to all bloggers, but in this post I am writing specifically for apologetics bloggers. These come from my experience as an apologetics blogger. I enjoy blogging and I hope that these tips will be helpful to you. 1. Blog consistently. I will admit that there are times that I have sat in front of a blank computer screen with no idea of what to blog about. But the truth was that I was just lazy. There is so much to blog about in the realm of apologetics. You just have to find your inspiration. Read books and blogs, listen to podcasts, talk to people. Share what you agree with and respond to what you disagree with. My first blog post was a response to something I heard on a Christian radio station. 2. Blog respectfully. Don’t use your blog to attack others. This is especially true for other Christians but it is also true for non-Christians. I have stopped reading blogs that were overly sarcastic, antagonistic and generally negative in tone. 3. Blog biblically. An apologetics blog is not the place to experiment theologically. Stick within the biblical limits. There is power in the Word of God, far more power than your theological speculations. 4. Support other bloggers. Post links to other blogs, comment on other blogs and reblog other posts. Pray for your fellow bloggers and encourage them with a kind word. 5. Consider blogging lists. I have found that my hits and my shares have gone way up since I have blogged with lists (this post is an example). It is not because it is trendy but rather it is easy for readers to know what your post is about and whether or not it is interesting. 6. Use social media. There are all kinds of apologetics groups on social media. Join those groups and post your links. Use #apologetics on Twitter. Get the word out because you have good things to say. If I was going to add a seventh point, it would be do not give up. It may take a while before people discover you. You may have few hits and no comments. Keep blogging. People will learn you are there and will be interested in your older posts. God bless you in your ministry of apologetics blogging.